Personal Power. Aura & Chakra Balancing. Creating a new life requires a shift in personal resonance. There are many tools and techniques you can utilize to facilitate change and inner alignment. The key to unlock all the power needed for transformation – is already inside of you. Ancient Eastern disciplines such as reiki, acupuncture and yoga acknowledge the existence of subtle energy systems within and around the physical body that are the conduit through which our spirit connects into our physical body and into the earth. Your biofield contains the energy pathways, centers and systems that augment the body’s natural healing potential and the vibrational resonance of your current life situation. Through the art and practice of energy balancing, a transformative process is activated within the emotional, mental and spiritual dimensions of your body’s energy field. Reiki is a Japanese word composed from 2 terms: Rei which means “universal or divine consciousness”, and Ki which means “life force energy” (a.k.a. chi, prana, etc.). Reiki can be described as the intelligent life force energy that flows through all living things or “Universal Life Force Energy”. The ancient art of Reiki found it’s way into the western world via Mikao Usui who rediscovered the benefits of utilizing Reiki and developed the system known as the “Usui System of Natural Healing” or “Usui Reiki”. 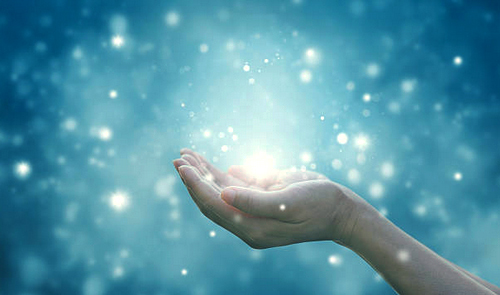 Today, there are a variety of reiki systems used all over the world. 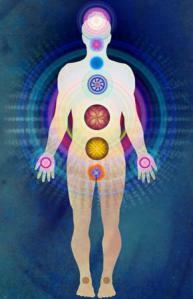 Reiki is administered through the hand chakras. Many practitioners use it as a method for self healing, in addition to offering it as a service to others. * We won't send you spam. Unsubscribe at any time. © 2008 - 2018 Laura J Genoway | Inner Illumination | All Rights Reserved.